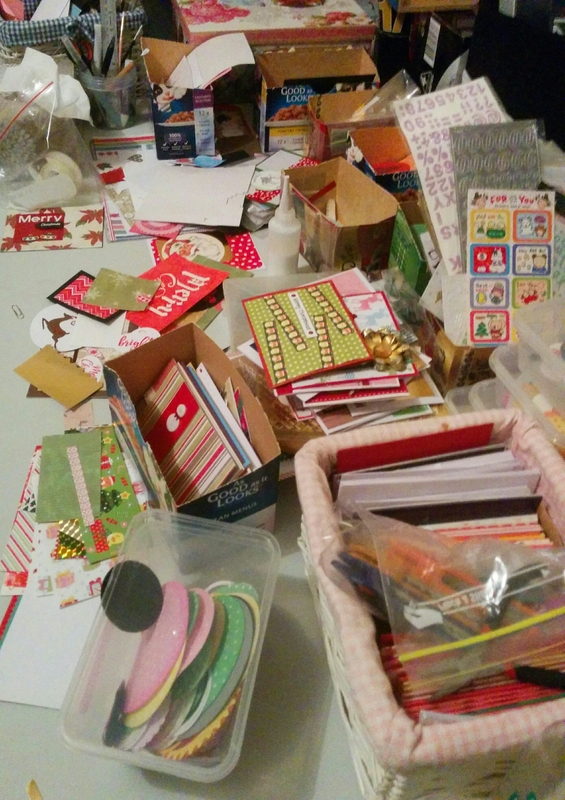 It has been far too hot to think, the last couple of days, let alone craft anything, so cardmaking hasn’t progressed at all. While struggling to cool down today, I watched Zootopia while I did some colouring in. 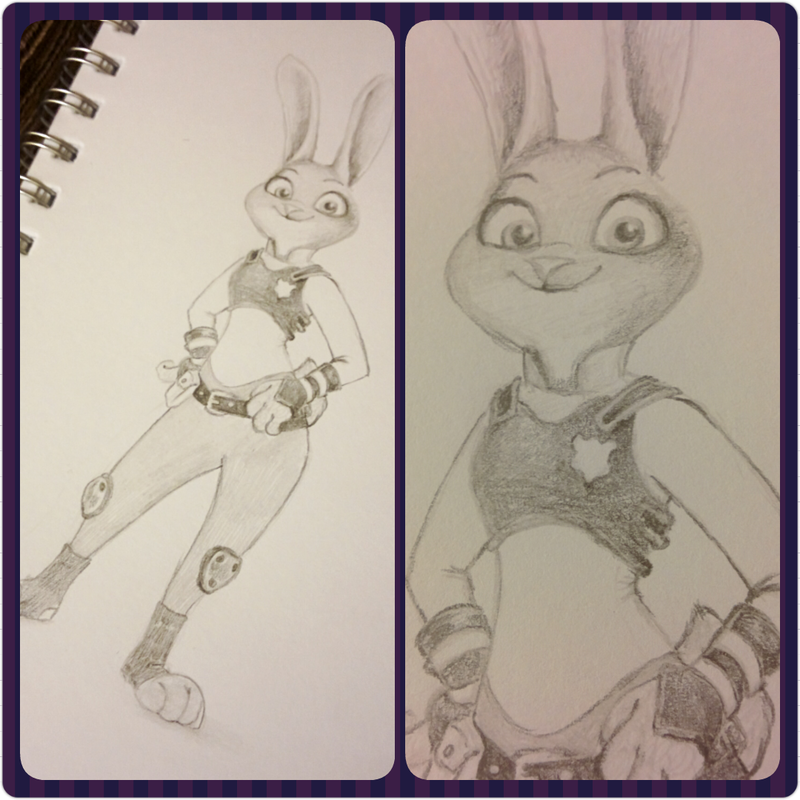 This was a great movie, and it inspired be to draw the main character, Judy Hopps. I based the picture off the official pictures of her, and basically copied what I saw. I did this a lot when I was learning to draw, as an exercise. I’d prefer to take a character and change the pose or clothing as a challenge, but today I lacked the brain power to do so. Last week while I was out, for the first time in a month, I found that the shops had changed into their Christmas apparel and with it came the calendar stall at the shopping centre. I usually get a cheap calendar each year, always full of kittens, but my partners eye was caught on a calendar featuring his favourite game characters (Heroes of the Storm.) I decided to see what else was there, as there are often funny or kitten covered ones. 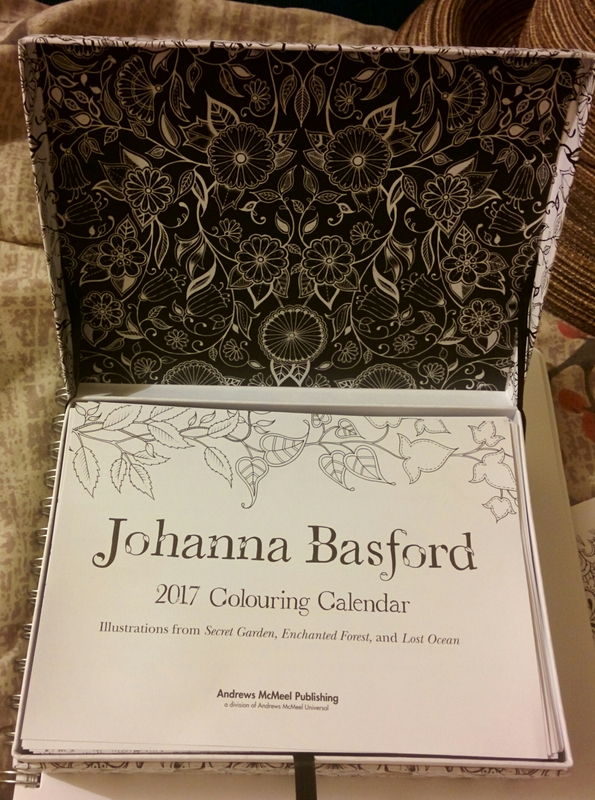 Just before I was going to stop looking, I found a 365 day calendar with artwork by Johanna Basford. If you have seen certain past post, you’ll know I have an artist colouring book of hers, that I love. I was hoping this had the same artist style quality paper, but it doesn’t. Each day contains snippets of her colouring pages and the date on thin, loose leaf paper, all contained in a lovely box which features her line work with golden accents. I don’t have any disillusions that I’ll colour one a day, so I’m not going to hold myself to it. Maybe just the important dates, and use the others for crafting and when I’m bored.